I heard of the Cinque Terre (pronounced CHINKWEH-TEH-RAY) while planning my very first trip to Italy. I saw some pictures online and immediately fell in love with the colored coastal towns. The word “Cinque Terre” means “Five Lands” in Italian and constitute the villages of Riomaggiore, Manarola, Corniglia, Vernazza and Monterosso el Mare. These villages are located in the Northern part of Italy’s Liguria region. 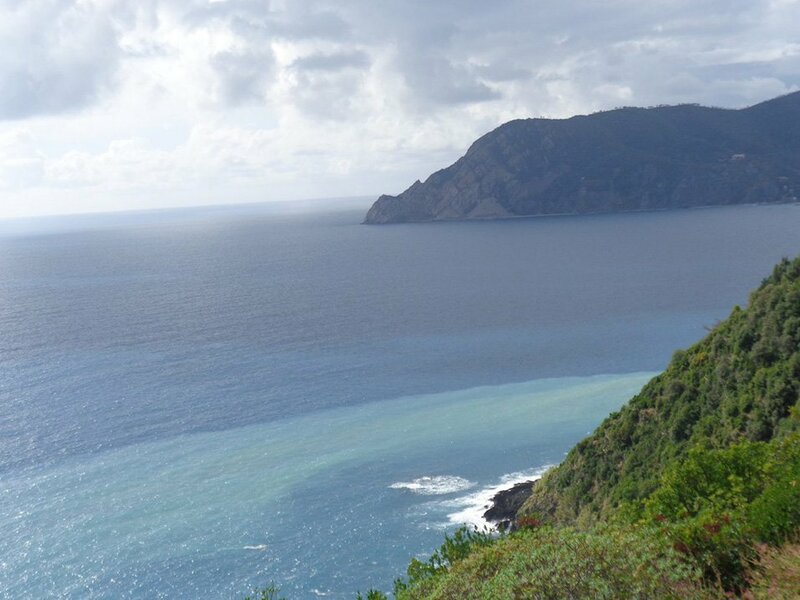 I traveled to the Cinque Terre from Florence and it was a very easy. To reach the Cinque Terre, simply buy your tickets online from Trenitalia or from the ticket counter at the train station from “Firenze Santa Maria Novella Station” to “La Spezia Centrale”. Don’t forget to place them inside the black line (in the picture below) to get it stamped/validated. Once you have your ticket, board the train to La Spezia Centrale. It should take around 2.5 hours to reach La Spezia Centrale depending on the train you take. I suggest you to take the direct Regionale train. Once you reach La Spezia Centrale, take a smaller local train to the Cinque Terre village you are staying in. For instance, if your accommodation is booked in Monterosso al mare, take a ticket from La Spezia Centrale to Monterosso al mare. 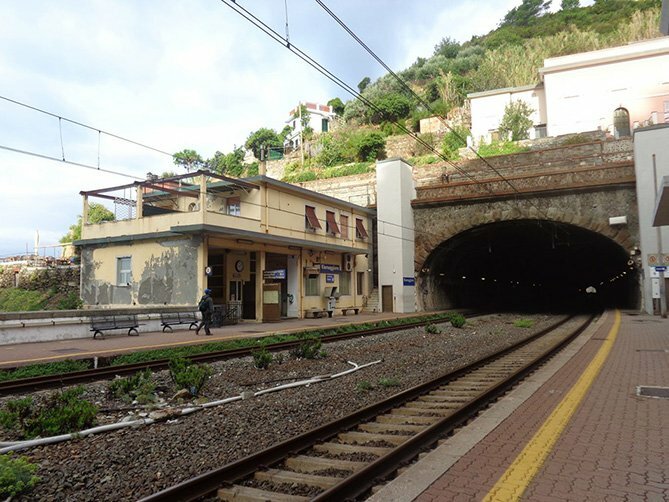 It is the last station of the Cinque Terre villages and usually takes about 15 minutes to reach from La Spezia Centrale. Similarly, if you are staying in Riomaggiore or want to stop there, it happens to be the first stop and takes about 8-10 minutes from La Spezia Centrale. All train timetables are available on the website of www.trenitalia.com and at the La Spezia Centrale station. There are trains every few minutes to take you to the Cinque Terre from La Spezia. Use the same method to book a train ticket (as explained above) but this time book a train from Roma Termini/Roma Tutte le Stazioni to La Spezia Centrale. The fastest train takes only 3.5 to 4 hours from Rome and I highly recommend booking the Frecciabianca especially if you want to save time because it is not only direct but super fast! Applying the same methods to book tickets as mentioned above, take a train from Venezia Santa Lucia/Venezia Tutte le Stazioni to La Spezia Centrale. There is usually a change of trains at Bologna or Florence (Firenze). The journey is long and will easily take about 5-6 hours. 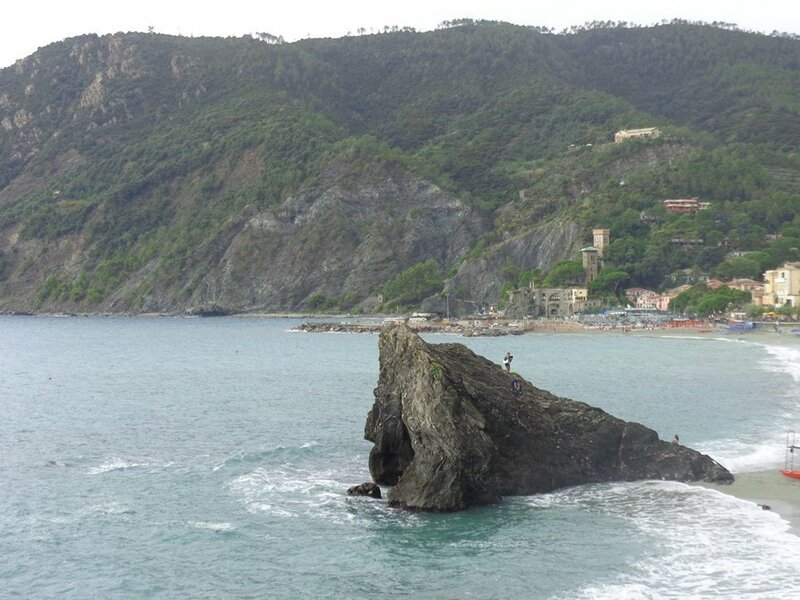 There are other options to reach the Cinque Terre such as hiring a private car or booking a tour. Personally, I would recommend a train journey to everyone as it is not only breathtaking but also comfortable and easy! 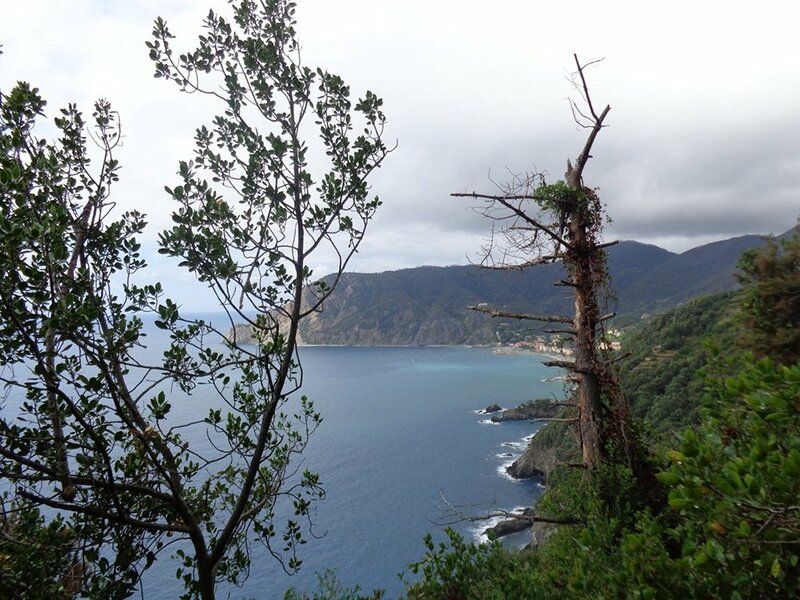 Here are some pictures of the Cinque Terre! 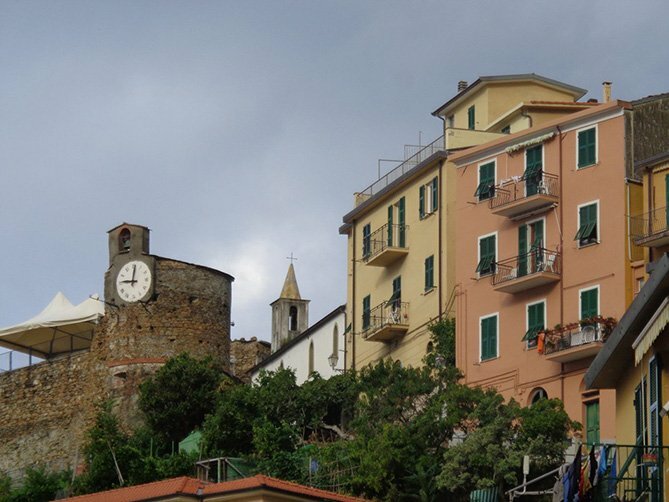 I stayed in Biassa– a quiet mountain town 15 minutes away from Cinque Terre (which can get a little overwhelming in the summer). There is a B&B as well as a hostel in the area. The hostel offers a daily shuttle. 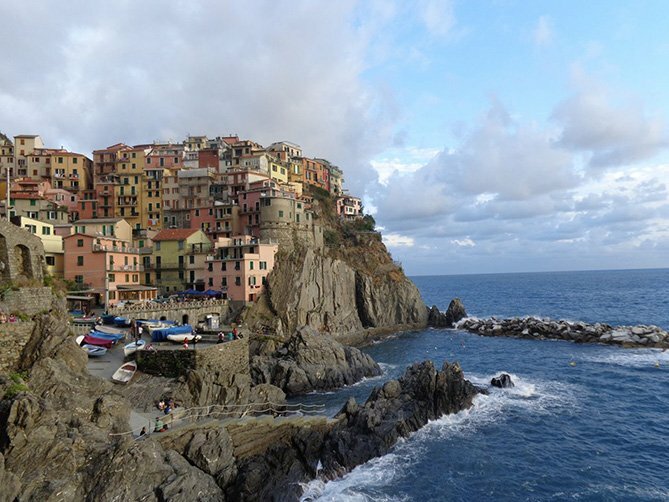 Have you been to the Cinque Terre?? I lived with an Italian family in Turin during high school and I’ve been back to visit a few times but it’s been awhile now. I don’t think any number of times will suffice 🙂 It’s such an amazing country. Wonderful memories and beautiful photos, Ishita!!! I love the Cinque Terre as well!! Beautiful pictures, we’ll have to try and get there someday! Thank you 🙂 hope that’s soon. I just love those colorful little houses! What a lovely set of photos!!!!! This is on my ‘must visit’ region of Italy for 2016. For me the perfect way was hiking but il also try your option when I visit again someday! Beautiful pictures. All my Italian friends say Cinque Terre is a must see. …. Hopefully this year! Very nice post Ishita…how this area of Italy enchants me! I could go back in a heartbeat! Grazie mille pb. I’m glad you guys did! What fun 🙂 Si, I have. Cinque Terre is a wonderful region of the Bel Paese. Love your photo’s. If I can’t be there they were the next best thing! 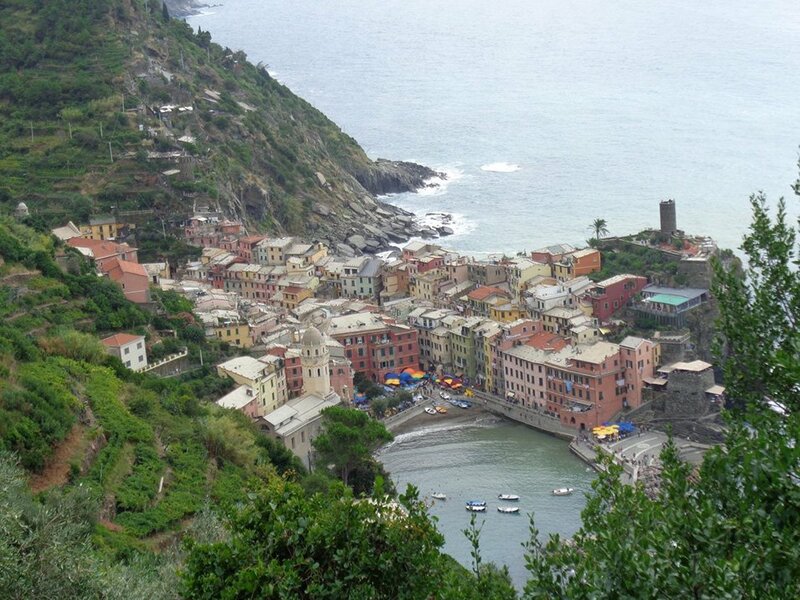 Ive known about Cinque Terre from Rick Steves and after 3 trips to Italy still haven’t visited! Hopefully there will be a next time – soon. It’s very photogenic! I’m going there this summer, and this post just got me so excited for my trip! How was your CT trip? We visited Cinque Terre in early May, before the busy tourist season. Got a good price on a hotel, loved the near-empty beaches. We could enjoy the quiet in the evenings and early morning when all the day-tourists left. You could see a river of people descend on each town as the trains pulled in full of cruise-boat tourists almost every hour. Lovely photographs! I live in Nice and frequently pop over the border into Bella Italia. Of all the places I’ve been to in Italy, Corniglia is my favorite. It’s so much smaller than the other villages and the people that live and work there are amazing. The first time we went there, we picked up some salame, foccaia, cheese and wine and had a picnic at the marina and watched the sunset. Breathtaking….. I know away from the sea its a different place from the rest. I love its church and the fresh fruits at the corner near the church 🙂 glad you had fun. My friend Maria goes to Cinque Terre every year – we drove through this region last year on our way back from Tuscany and think it deserves a longer stay. Lucky her, every year :O I think too. My 3 nights weren’t enough either 😛 Grazie mille. Loved the place. The walk linking the 5 towns is one of the funnest I’ve done anywhere I have ever done. I stayed in the monastery Santuario Nostra Signora di Soviore in Monterosso al Mare. Brilliant place. Funny, people complained about it being stark, nothing to do, etc. That’s what a monastery is supposed to be. If you want to party, drink heavily, stay elsewhere. If you want spectacular views and calm, consider this place. I like that you can use ancient paths to descend or climb. Highly recommend it. Thanks Rudy. I will check this monastery. I agree when people crib about useless things, especially when they know what they signed up for! 5 islands sound interesting. Are they still independent islands or they have been joined by land. These are 5 seaside villages not islands.